The Best Waterproof Hiking Boots | Which are the best to buy? Most comfortable, endurance, long-lasting, top-rated and reviewed hiking boots to buy. Want to buy the best waterproof hiking boots? The most comfortable, longest-lasting, endurance driven waterproof boots to keep your feet dry and protected? Are you looking for the ultimate waterproof hiking boots guide? There is nothing better than getting outside and hiking a challenging terrain, surrounded by all of the beauty that nature has to offer. However, all too many have their hiking trip become less than desirable and shortened due to the irritation caused by not having a reliable pair of the best waterproof hiking boots. While a typical day hiking trip on a comfortable, dry hiking trail may not be much of a concern and a simple pair of hiking shoes that are not designed to be water resistant may suffice, the fact of the matter is this is not typically the reality in many occasions. Anyone who goes hiking on a semi-regular basis is more than likely going to come across a time where they are in desperate need of waterproof hiking boots. Whether there is rain in the forecast, the hiking trail requires you to cross a shallow river, or the terrain is merely damp all year long, it is essential to prepare yourself properly with a pair of the best waterproof hiking boots. 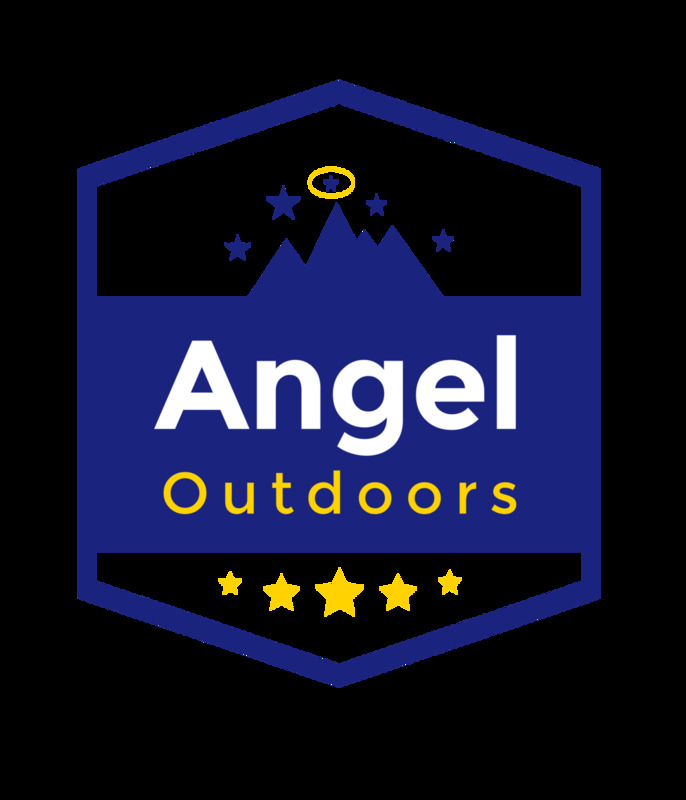 It is our goal to help you become fully prepared with not just waterproof hiking boots and the rest of the necessary waterproof hiking gear, but also with the knowledge to know how to choose the right equipment for you and stay safe and comfortable while on the trail. You may be wondering what makes waterproof hiking boots different than a pair of non-waterproof hiking boots and how can you tell the difference. The main difference between the two is that waterproof hiking boots are specifically designed to handle wet conditions while on the hiking trail. The way they achieve the waterproof abilities that some of the best hiking boots have is in large part attributed to the material that the hiking boot is made. A waterproof hiking boot is typically made of full-grain leather, whereas a less water resistant boot is likely made using synthetic material. Also, since wet hiking trails can usually be much more slippery and increase the chance of falling, waterproof hiking boots are generally made to have excellent traction as well. It is essential to have a pair of waterproof hiking boots to stay comfortable and safe while on the trail. A pair of wet hiking boots can start to feel very heavy, which can inevitably lead to foot discomfort that causes you to want no longer to continue hiking. Additionally, hiking boots that are not made for wet conditions can increase the chance of slipping and falling as well. Before you consider your options for waterproof hiking boots, it is crucial to gain a full understanding of the different types. There are mainly three different types of waterproof hiking boots which include a waterproof hiking shoe, waterproof hiking boots for day hikes and a waterproof hiking boots for backpacking. The type of waterproof hiking boot that is most suitable for you is dependent upon both your plans for using them and your personal preference. Each model design is different, and they each have their advantages and disadvantages. While one may be more tailored for everyday use and short hikes, some may be best used for long hikes and are less concerned with how they appear to others on a day-to-day basis. When in doubt, it is often a good idea to go with one of the best all-around waterproof hiking boots - such as the Columbia Men’s Newton Ridge Plus II Waterproof Hiking Boot seen below. 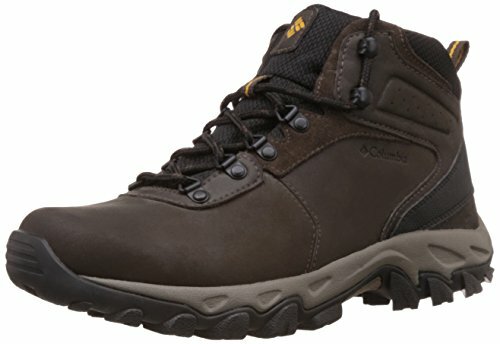 To fully understand the differences in each type of waterproof hiking boot and when to choose each one, let's take a closer look into what makes each style unique. A waterproof hiking shoe is much different than a hiking boot, although many hikers do prefer to wear them over boots as they typically weigh far less and can at times be more breathable. A waterproof hiking shoe is perfect for any man or woman who likes to wear their hiking shoe as their everyday shoe as well. The primary benefit of waterproof hiking shoes is that they tend to be very comfortable and are very lightweight. However, the drawback to choosing a waterproof hiking shoe over a boot is they may be less durable and provide far less ankle support. When it comes to waterproof hiking boots, it is essential to keep in mind that not all of them are created the same. Mostly, they can be broken down into two categories: waterproof hiking boots for day hikes and those for longer backpacking adventures. Waterproof hiking boots for day hikes are tailored for shorter hikes that are less strenuous. These types of hiking boots are typically made to provide the necessary ankle support and traction to handle tough hikes, but they may not provide the level of performance and durability that a waterproof hiking boot for backpacking might be able to. This type of waterproof hiking boot design is for hikers who plan to go on long, overnight backpacking trips. 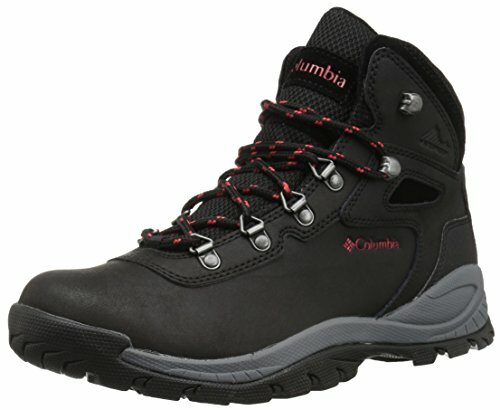 Anyone who likes to explore beautiful hiking trails for days if not weeks on end is likely to need a pair of waterproof hiking boots designed explicitly for backpacking purposes - such as the Columbia Women’s Newton Ridge Plus Hiking Boot. The most significant benefit to choosing these is they give the hiker the ability to safely climb through steep, wet terrains in a much more effortless manner. They typically provide excellent ankle support and are very durable. However, the only drawback is that many find them to fell much more massive and may not be as stylish. In addition to different waterproof hiking boots design being different, the material used in waterproof hiking boots is also an important consideration to make when deciding which pair is best for you. There are two different categories of material of which a hiking boot may be created. Discover the best waterproof hiking boots material for your feet. The most common form of material used in waterproof hiking boots is leather, which is naturally much more resistant than synthetic material. Almost every pair of waterproof hiking boots is made using at least some degree of leather, although many of the best waterproof hiking boots made are of full-grain leather. The second type of material you are likely to come across during your search for the best pair is what is known as synthetic hiking boots. A synthetic hiking boot material does not mean the pair does not contain leather, but instead, it also includes synthetic components as well. Leather hiking boots are the most common form of waterproof hiking boots, and it is essential to try and choose a pair that contains at least some degree of leather. Otherwise, you run the risk of purchasing a pair that is not intended for wet conditions and find your hiking boots becoming wet when out on challenging terrains. The term most commonly used for leather hiking boots is known as full-grain leather. Full grain leather is necessarily a way of saying the boot is entirely comprised of all leather, whereas a split-grain leather would contain synthetic material as well. Synthetic hiking boots can be broken down even further into two categories, which are split-grain leather and synthetic. If you come across a pair of waterproof hiking boots that are synthetic, the chances are they are split-grain leather as these are much more water resistant. While most non-leather hiking boots are not entirely waterproof, it is possible to find a pair that is entirely synthetic and still able to be considered waterproof. Synthetic hiking boots may be less reliable when it comes to being water resistant and less durable, but they often are more breathable and keep your feet comfortable on warm days. The type of hiking boot you choose depends mostly on the specifics as to how they are used. If you plan to use your waterproof hiking boots for long backpacking adventures, then you may want to consider purchasing a full-grain leather pair that provides excellent durability and traction. If you plan to use your hiking boots daily and only plan to take short day hikes in them, then comfort is likely more of a consideration. To gain a further understanding, let's take a closer look at each of the most critical factor to consider. The terrain - or the land in which you plan to hike -is one of the most important considerations to make. The terrain dictates how dangerous the hiking trip will be, how many miles you can cover in a day and many more critical determinations that are vital to making when preparing. Our waterproof hiking boots guide reveals how to determine which pair of hiking boots are best. If the terrain is likely to be very wet and riddled with small rivers and ponds, then you need to find the most effective waterproof hiking boots possible. Additionally, if the trail is uphill and has lots of obstacles to get past, then you are going to want to find waterproof hiking boots that also provide excellent traction and durability. The weather is also significant to determine and includes many different determinations, including the temperature, wind and precipitation. If you plan to hike in hot climates, then choosing a pair of waterproof hiking boots that are more breathable may be the best route. If the area you plan to hike has a high likelihood of rain or snow, then ensuring you have a pair of full-grain leather waterproof hiking boots might be most important to you. Additionally, knowing the weather allows you to prepare yourself mentally as well as physically for the trek that lies ahead. Another essential thing to consider when choosing your waterproof hiking boots is how long you plan to hike. While a short day hike on an easy to handle terrain may not call for the most effective waterproof hiking boots, a multi-day hike in a terrain that is more tailored for advanced hikers may require the best waterproof hiking boots possible. To determine how long the length of the hike is, you will need to look up how long the trail is and determine how many miles you can cover each day. It is essential to have all of these details worked out before choosing your boots and heading out on the adventure. The durability of your waterproof hiking boots is essential. While having a pair that is comfortable, stylish and performs well is nice to have, all of it is meaningless if the boot breaks down after several long hiking trips. There is a way to determine how much of factor durability should play into your buying decision; it is essential to consider how often you plan to hike. While a hiker who only intends to use their boots once or twice a year may not be too concerned with durability, those who hike more often may require a more durable pair. Last but not least, it is important to consider what you desire specifically out of your waterproof hiking boots. If you want to make the hiking trip as effortless as possible, then perhaps you want to choose a pair that handles the terrain with ease. On the other hand, if you are not concerned with your ability to hike through rough terrains and want to look good and feel comfortable above all else, then choosing the most stylish pair that allows for extreme comfort may be the best route to go. By understanding your preference, you put yourself in a better position to make the right decision. There is a drastic difference between a pair of the highest quality waterproof hiking boots and one that is low quality. Unfortunately, it is sometimes hard to distinguish the difference between a good pair and a bad pair, mainly if you do not know what makes the best waterproof hiking boots genuinely great. By understanding what to look for when choosing your hiking boots, the decision as to which pair is best for you becomes effortless, and you can avoid selecting a less reliable pair that looks the part at first glance but does not perform well or hold up over time while out on the hiking trail. The following are all essential elements to every great waterproof hiking boot. By considering each one of these critical factors with each pair you consider, you can ensure you make an informed decision and end up with a pair of waterproof hiking boots you are going to love using for a very long time. Perhaps one of the most important features of every great waterproof hiking boot is the ability to effectively allow the hiker to make their way through the trail in an efficient manner. Without a pair of the best hiking boots, it can be hard to climb steep hills and mountains or trek your way through a shallow river. However, waterproof hiking boots that are proven reliable can keep you safe while out on the trail. Since every hiking adventure is unpredictable, it is essential to invest in a pair of waterproof hiking boots that is effective and able to keep you safe and upright while out on the trail. The comfort level of the waterproof hiking boot is also an important determination to make when sorting through various options. What is considered comfortable is different for each person, but there are certain constant factors to look at when determining the comfort, including the material of the insole, the weight of the boot and how breathable the boot is. While one may define comfort as having the most amount of ankle support and a good fit, others might prefer less ankle support and a more lightweight shoe with a soft insole. Regardless of your preference, it is essential to determine what is comfortable for you. 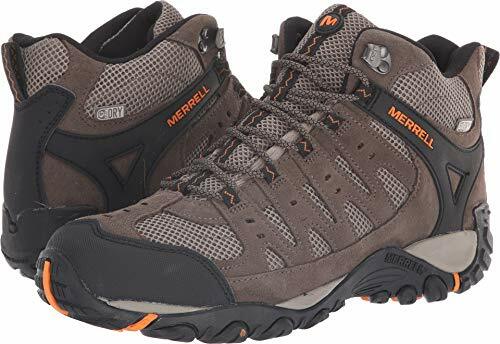 A popular choice among those who prefer a comfortable pair of waterproof hiking boots is the Merrell Men’s Accentor Mid Vent Waterproof Hiking Boot, which is lightweight, breathable and made with comfortable insoles. Every pair of waterproof hiking boots has a different and unique fit. It is essential to find a pair that fits you appropriately and allows for the maximum amount of comfort. While a low-quality pair of hiking boots may not fit as expected, the best waterproof hiking boots are almost sure to be as advertised. In many ways, the fit of a waterproof hiking boot goes hand in hand with the comfort level. The better the fit is - meaning the better the length, width and lacing match up to the needs of your foot - the more comfortable you will be and the more effective you will be while on the trail. The durability of your waterproof hiking boots is essential. You can have the best pair of hiking boots ever made, but if they do not withstand the test of time and last through several uses, then they are mostly no good for you. Subsequently, it is essential always to determine how durable a pair of waterproof hiking boots are before deciding on them. The durability of a hiking boot is dependent on several factors, including the material that is used to make the hiking boot, how well constructed it is and of course how water resistant they are. The design of the boot may or may not be relevant to you. For many, it is not enough to have a pair of waterproof hiking boots that provide excellent traction and are comfortable, and it is also essential to have a pair of hiking boots that are also fashionable and stylish as well. 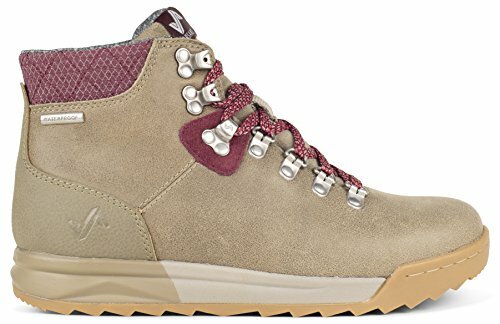 While many believe they have to choose one or the other, hiking boots such as the Forsake Patch Women’s Waterproof Hiking Boot is both stylish and completely waterproof. If you desire to have a pair of waterproof hiking boots that make you look great while out hiking or are even fashionable enough to wear daily, then be sure to consider this, although it is important not to compromise the quality of the waterproof hiking boot in doing so. There is nothing worse than twisting an ankle while out on a hiking adventure. In fact, a twisted or sprained ankle can cause the entire hiking trip to end suddenly and may even call for the need of medical assistance, which is why it is essential to ensure you have a pair of waterproof hiking boots that not only keep you safe through providing great traction but also by giving you fantastic ankle support as well. The ankle support is dependent on several factors, including the cut of the boot and how stable the material used is. While it is not glamorous to think about or discuss, the unfortunate reality is there are times when the budget for the best waterproof hiking boots is required to be considered. However, just because you have a limit to how much you can spend does not mean you cannot find a reliable pair of hiking boots that last for a long time. It is essential to set your budget before you begin your search for the best waterproof hiking boots to avoid purchasing a pair you just cannot afford and not being able to buy the other necessary gear items you need for hiking. Waterproof hiking boots are a great place to start when preparing yourself for a long hiking trip, especially one that involves trekking through wet terrains. However, waterproof hiking boots are likely not enough to keep you safe and well prepared at all times while out on the trail. 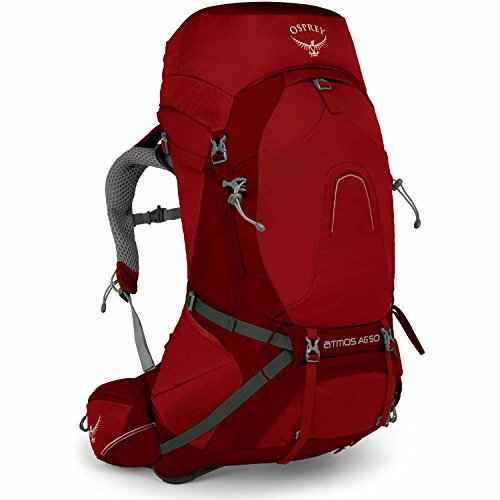 Each hiking trip is different, and everyone has a different set of needs, so be sure to examine what all gear items are essential for your trip in particular. When purchasing waterproof hiking boots, it is also a good idea to buy waterproof socks as well - such as the Randy Sun Hiking Socks - to ensure further your feet stay dry. 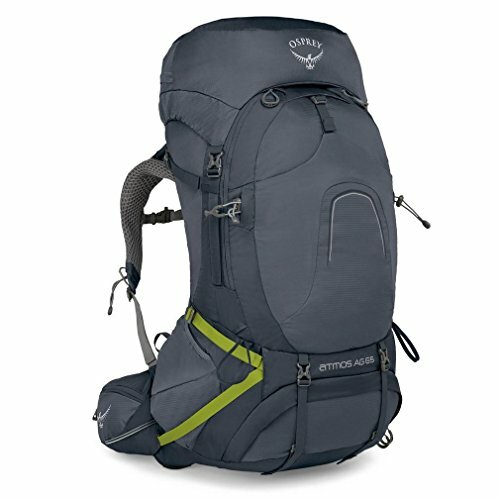 Additionally, be sure you are well equipped with a daypack or backpack that can store all of your essentials, which should probably include a water reservoir. Then, of course, if rain is a possibility, be sure to bring a waterproof rain jacket as well. Additionally, long multi-day hiking adventures often require camping out in a camping tent while resting, so be sure to properly prepare yourself and others with the necessary camping equipment as well. While the durability of waterproof hiking boots has a lot to do with the quality of their design and the material that is used, it is also important to take proper care of them to ensure they last for years without needing to be repaired or replaced. The better you care for your hiking boots, the longer they are likely to last and better they will be at resisting damage by various obstacles often found throughout hiking trails. The most important thing to remember when caring for your hiking boots is to keep them stored properly when they are not in use. While most pairs are made to be resistant to bad weather, even the best waterproof hiking boots can weaken over time if they are left outdoors the entire time, exposed to poor weather. Additionally, be sure to know the limitations of your waterproof hiking boots. 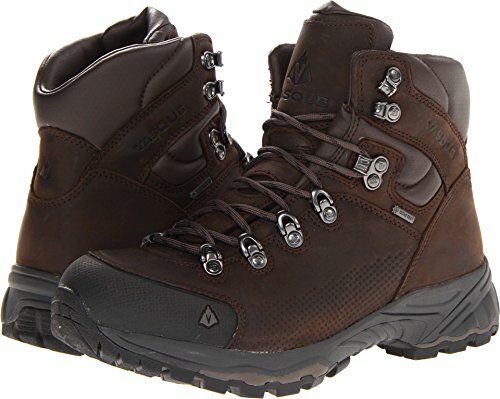 A pair of full-grain leather hiking boots that are made for long backpacking adventures can withstand just about anything, but a pair of synthetic hiking shoes may not be able to endure the challenges that await during a multi-day trip, which is why it is important to consider your exact need before making your final decision on which waterproof hiking boot to buy. As long as you take good care of your waterproof hiking boots and fix any issue s that arise in a timely manner, you should be able to enjoy your new pair of hiking boots for years to come, without having to worry about them becoming damaged or broken sooner than expected. 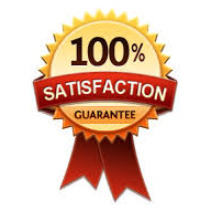 Of course, we offer much more than this, so feel free to browse our site for all that we offer. We hope to help you stay safe and have a fantastic time hiking on your next trip out onto the trail.